These maps are shown in the glass case on the plateau next to the info hut. 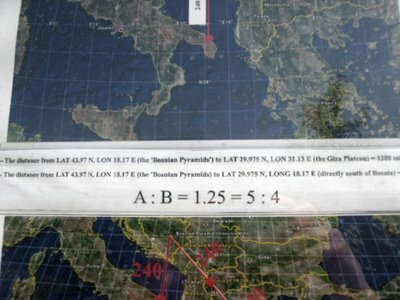 Explaining sacred geometry between Visoko and Giza/Egypt. 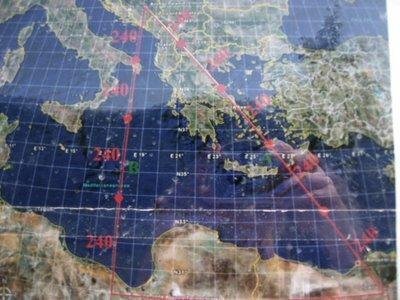 It shows a pythagorean triangle with ratio 3:4:5 divided up into 240km steps. 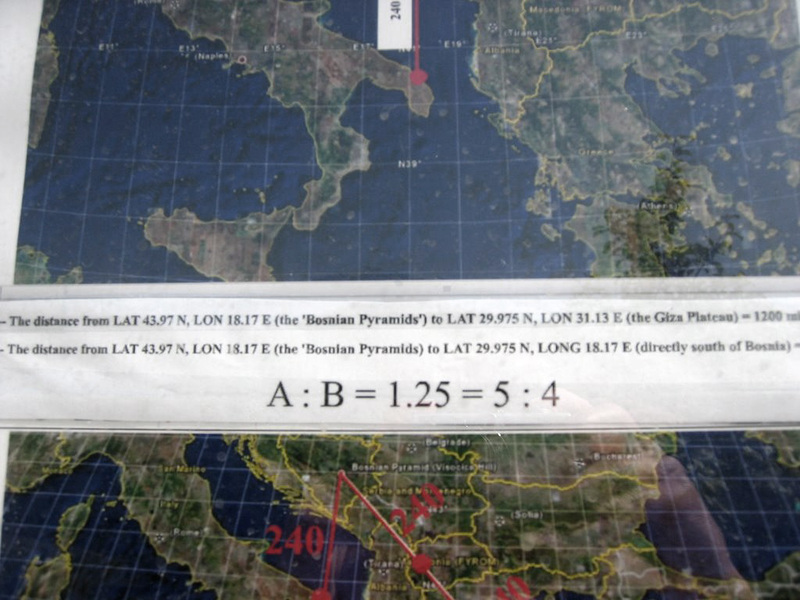 The distance Visoko - Giza is 1900km(1870 exactly), which would be appr.8 times 240km and therefore would not fit into the pyth.triangle pattern marked on the map.